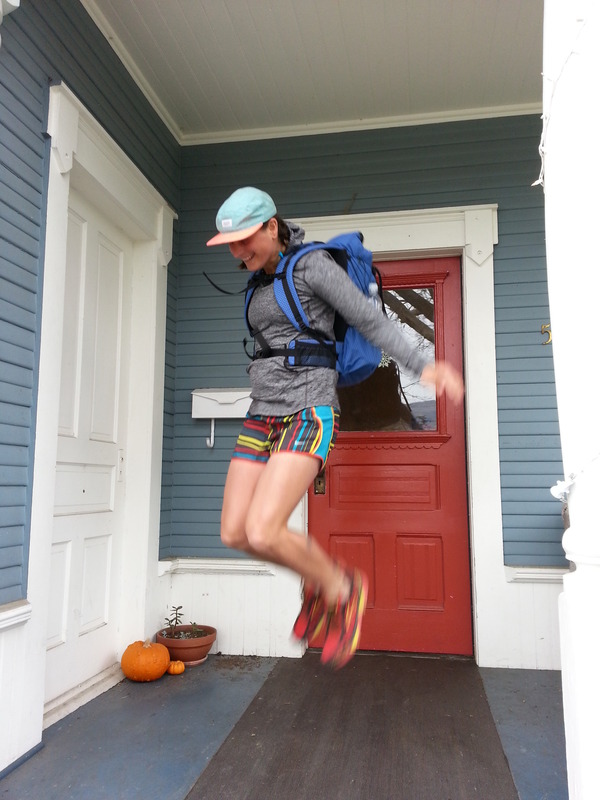 First thing: There’s a Q&A with me in the upcoming issue of Brink Magazine, wherein I talk about long-distance hiking. This issue, out on March 17, features all women and is written and photographed entirely by women. It’s going to be good, and you can pre-order it here. Second thing: My new pack came in the mail today! 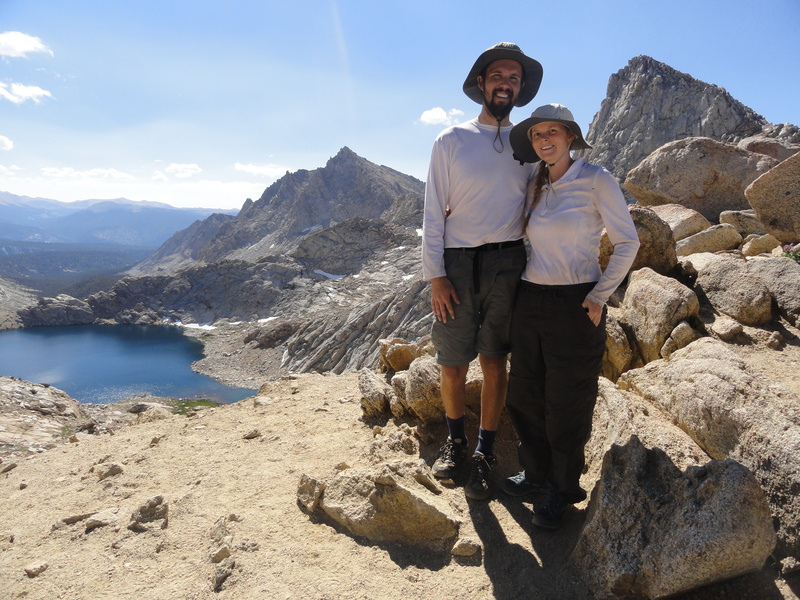 Sam was wonderful in helping me envision the custom ultralight framed pack of my dreams. I’m beyond stoked to put some miles on this pack on the CDT, and to provide feedback that will help them develop their prototypes. Before agreeing to work with this company, I thought hard about whether the ethics of the company aligned with my own, and they do. JepPaks is a small cottage company that truly embodies the spirit of DIY. Sam and Katy genuinely love designing gear and turning custom pack ideas into reality- Sam and I shot many excited emails back and forth during the process, nerding out on small details of the pack. JepPaks makes their packs in the US. We have respectful, professional communication. It feels really, really good to work with them. 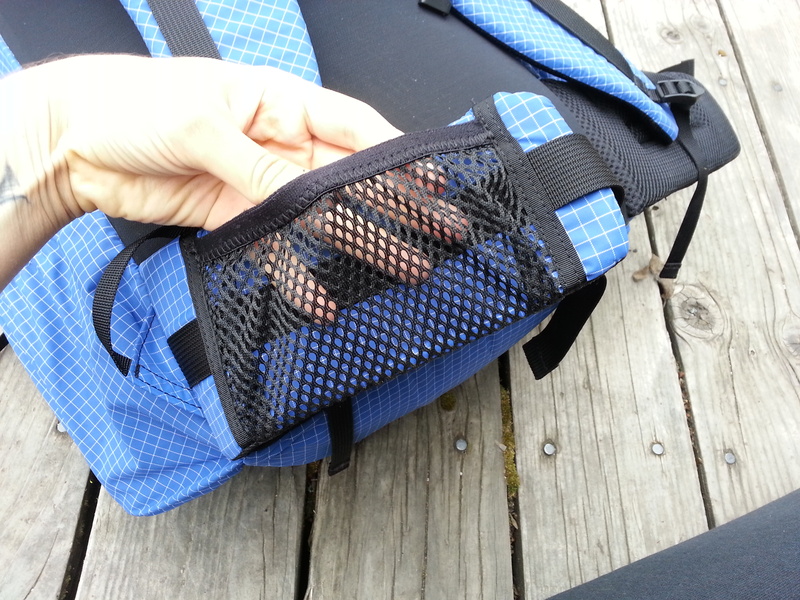 About the pack: This is a framed pack with a volume of 32L, not including the outside mesh pocket. 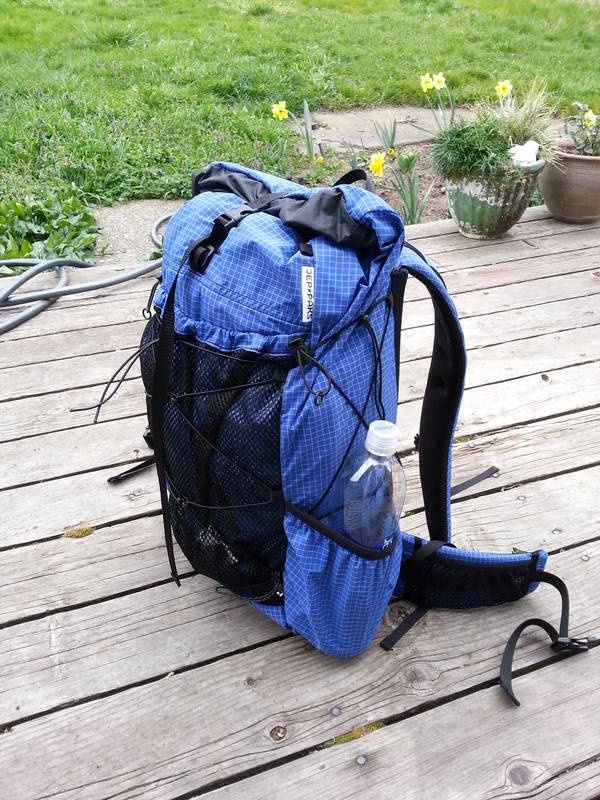 I’d guess that including the outside mesh pocket would put the volume at about 35L, which is the exact perfect size for me for the CDT- I can easily carry four days of food in there along with all my gear. The frame is an aluminum stay. The construction is super solid. The pack is made of blue 140d Dyneema reinforced nylon, with a 70d Silnylon extension collar, and seems plenty durable without being overbuilt. The shoulder straps are padded in a beefy way, and also wide. The closure system is roll-top, aka THE BEST. 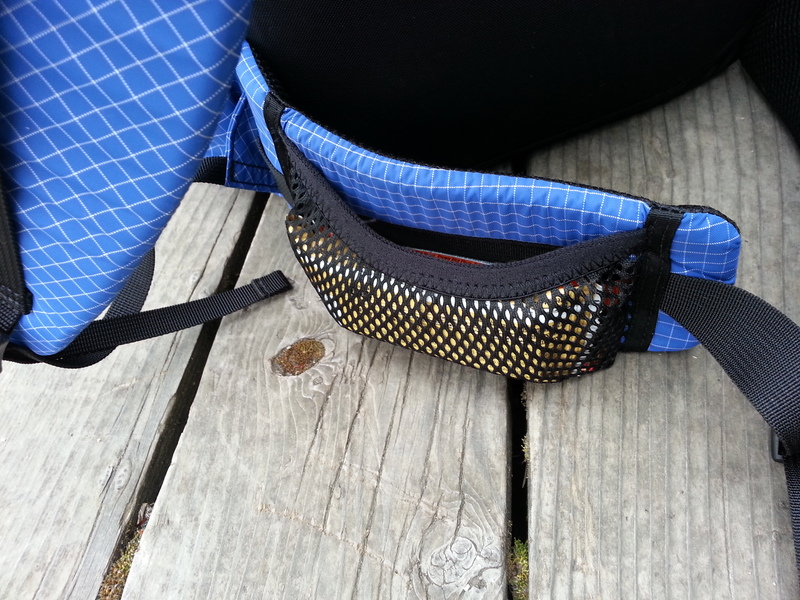 There is a padded hip-belt. The whole pack weighs in at 22 oz, making it the lightest non-cuben-fiber framed pack that I know of. This is so cool! I chose to use a framed pack on the CDT because while I’m down to rock a frameless pack on a trail where I don’t have to carry more than two liters of water at once (such as the Florida Trail or the AT) I know that, for me, carrying a bunch of water in a frameless pack = lots of back pain, and the CDT has some long water carries. 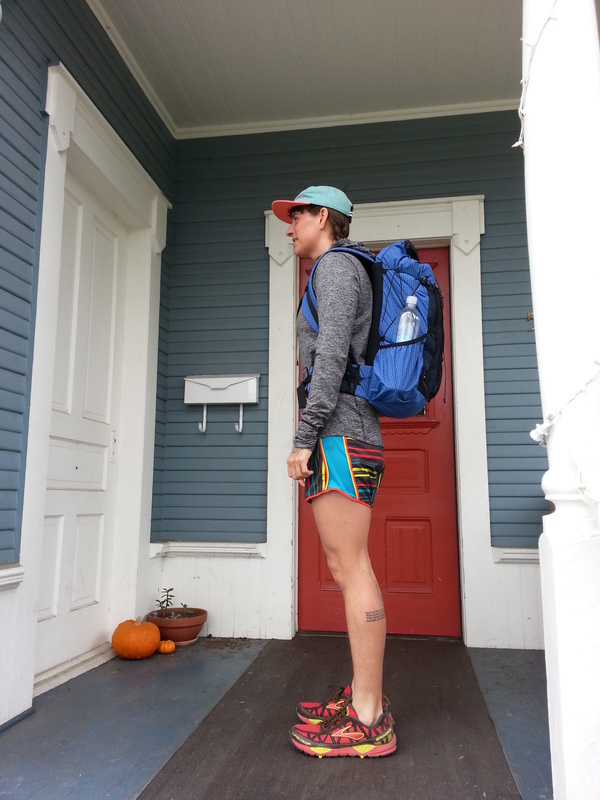 Everyone’s body is different, tho, and I know several hikers who swear by frameless packs for all conditions (like NotaChance and Jess). The cool thing about my new pack from JepPaks is that it can go either way- if I decide to take the pack on, say, the AT, I can remove the aluminum stay, turning the pack into a sweet 17oz frameless pack. If you’re still looking for a pack for the hiking season, I can’t recommend this company enough. If you’d like to order a pack like mine, shoot them an email! I am just going to wear this until May. Third thing: If all goes according to plan with my book, I’ll be starting the CDT on May 5th. Three other hikers (Track Meat, Spark and Mehap) and I are looking for a ride from Lordsburg, New Mexico to the Crazy Cook monument on the Mexican border that day. It’s a long, bumpy drive, and we can reimburse you for gas and your time. If this sounds like fun to you/like something you’d want to do, shoot me an email at carrotquinn4@gmail.com! Fourth thing: Still hard at work on my book, and all the small and large details of self-publishing. Spring is here! 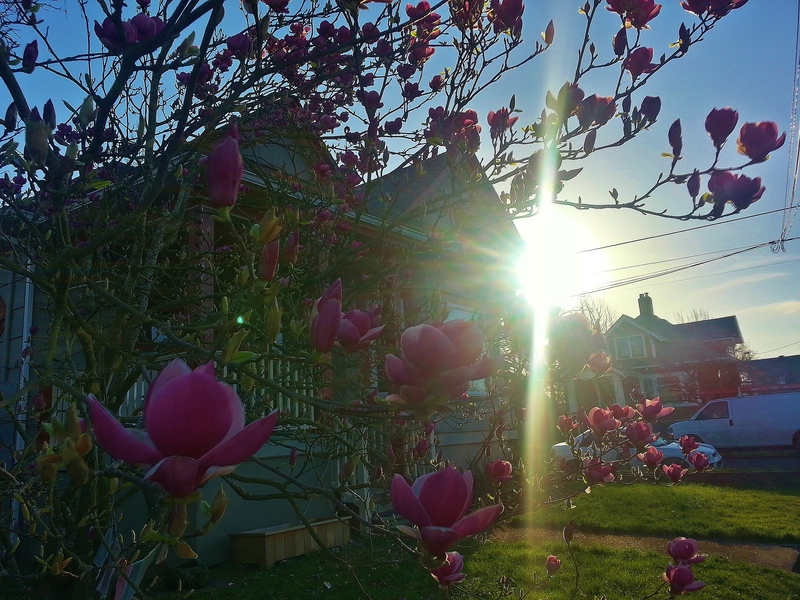 The blossoms are exploding. There is so much possibility, I just want to be on the trail, yet there is so much to be done before then. I’ll post more updates as I have them! Photos of my life are on instagram.